Every year, the DIA hosts the Medical Affairs and Scientific Communications Forum, and every year, Med Communications has a booth staffed with business development folks, employees attending sessions to strengthen their craft, and our Director of Medical Information, Ellen Whipple presenting sessions to those new to medical communications. 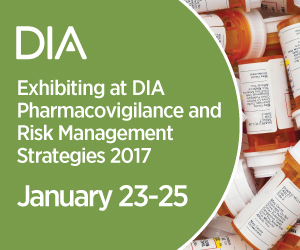 Med Communications will be exhibiting at DIA Pharmacovigilance and Risk Management Strategies Conference 2017 (#PVRMS17) in Washington, DC on January 23-25, 2017. 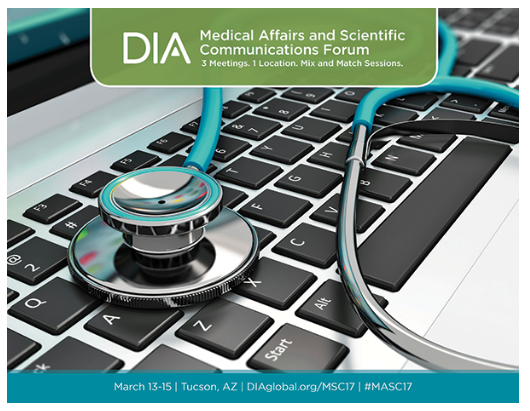 Our Director of Pharmacovigilance, Sharon Bathory, and our Business Development Manager, Stacy Witham, will be at Booth # 14. The 3rd Annual Customer Centric Medical Information Conference was held in Boston, MA on July 25-26, 2016. Stacy Witham, Senior Inquiry Medical Information Specialist, attended on behalf of Med Communications.